Elena Finkbeiner is an Early Career Fellow at the Center for Ocean Solutions and a Postdoctoral Scholar at the Hopkins Marine Station of Stanford University. She earned her PhD from Stanford University in Biology, her Masters in Environmental Management from Duke University, and her B.S. in Ecology and Evolutionary Biology from University of California Santa Cruz. Her research explores how coastal social-ecological systems adapt and respond to change, and seeks to identify governance approaches that can maximize both environmental sustainability and human well-being. Her work also examines how processes like resilience and adaptive capacity manifest at multiple scales of organization. 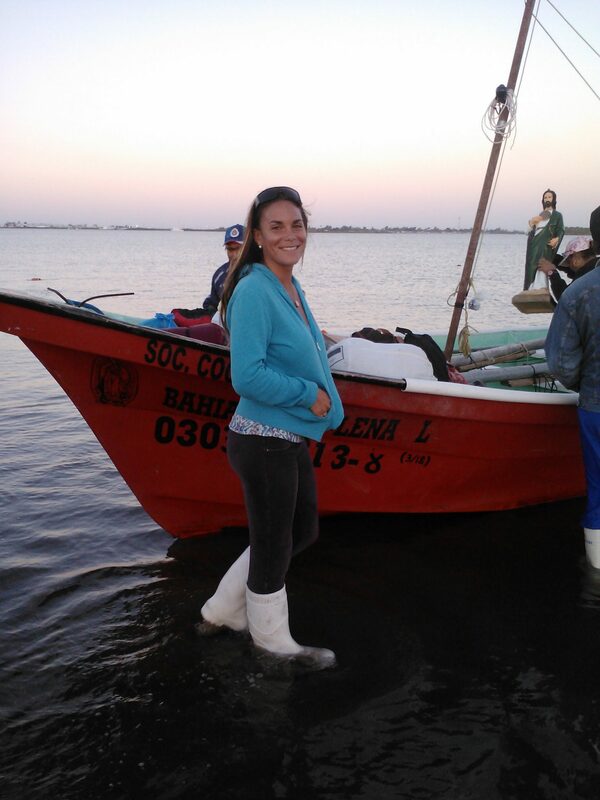 She studies these processes within the context of small-scale fisheries along the Pacific coast of Baja, Mexico, using interdisciplinary science and a mix of qualitative and quantitative research methods, including participant observation, surveys and interviews, analysis of fisheries catch data, and economic experiments. EF: In my capacity as a postdoctoral scholar, I am currently studying adaptive capacity of small-scale fishers as part of a larger interdisciplinary research project looking at resilience of marine ecosystems and coastal communities. Using behavioral economics techniques, I am looking at how fishers make decisions and change behaviors in the face of increasing environmental and socio-economic uncertainty. I am very excited about our results so please be on the lookout for a forthcoming paper! At the Center for Ocean Solutions, I am leading a project engaging funders and practitioners to co-create a diagnostic tool intended to guide the implementation of sustainable solutions for small-scale fisheries. I am also leading a paper challenging the dominant narrative of overfishing with numerous implications for small-scale fisheries. EF: First, addressing the difficult issues such as equity, power and marginalization, and most importantly, ensuring fishers have access to basic human rights. Within this context, people have the capacity to interact with their environment in a safe and healthy way. Second, listening to, and learning from fishers. They are the experts in their system, and to date, their knowledge has been largely discounted and left out of policy processes. We have so much to gain by better integrating fisher knowledge and creating more opportunities for participatory governance. Fishers are not the problem; they are key to the solution!